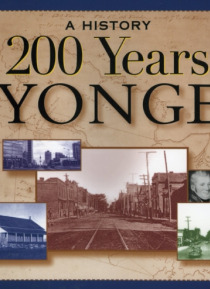 The Yonge Street as conceived by Lieutenant-Governor John Graves Simcoe is celebrated, from its beginning as a First Nation's Trail, to the Yonge Street we know today, extending from Toronto to Innisfil. Augustus Jones, the surveyor assigned by Simcoe, the French, the German pioneers, the Loyalists - all were to influence the building of Yonge Street. With the building of a route came tolls, inns,… villages, more immigrants and ultimately an avenue of economy serving as the key transportation route for the people, goods and services that represent our province.